The public hearings in the case concerning whaling in the Antarctic at the International Court of Justice were concluded yesterday. The Court will now begin its deliberation (Press release). The Court Judgment will be issued by this winter. Google search result says, the trial has not attract enough attention from public, except medias of Japan and Australia, the parties in dispute. It is OK, but what seemes to be problematic is that Japanese medias have not reported so much on this issue in English. At first glance, discussions on whaling look like something scientific, but it seems to me that the large part of the arguments of both sides are rather motivated to a greater extent by historic, cultural, and psychological reasons. In this context, let me re-publish the blog post that I wrote four years ago, with slight modifications. This is my personal view on whales and whaling, and the Japanese culture. "Mourning for the dead whale by the shore"
The following is a from my blog post on 2009/7/4. titled "Mourning for the dead whale by the shore," with slight modifications. The story is about a news on a whale that was washed up on a Japanese beach. 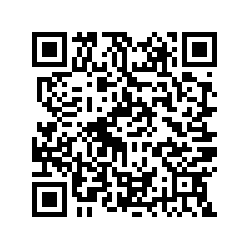 Sorry for broken hyperlinks. A whale that was found washed up on a beach in Sammu, Chiba Prefecture on Wednesday died Thursday morning, the Sammu city office said. Chiba is located in the east of Tokyo, and Sammu is a small town close to the Narita Airport and facing the Pacific Ocean. The article continues to explain why they did not help it to go back to the sea. When they found the whale, city officials and members of a local fisheries group decided to monitor it around the clock, thinking it too dangerous to use manpower to push it back into the Pacific Ocean or to use boats in shallow water to free it. News media in Japan eagerly reported the news about the whale since it was found until it died. Google News counts 92 news articles on this topic so far. Other news articles report what the Japan Today's article neglected, including; the local officials asked the Japan Coast Guard to help the whale but they couldn't because the beach was too shallow for ships or boats (see the picture below); several dozen local kids tried to cheer up the whale; and local fishermen grieved for their inability to help it to go back to the sea. An other news article (in Japanese) shows a photo. It was about 2 hours before the whale died, and it looked that the whale was unable to move already. Local people were watching anxiously. I do not know what the guy near the whale was doing, but news reports said the whale was spotted bleeding from its abdomen, so I guess he somehow tried to ease the pain of it. Or maybe he sprinkled sea water on the whale's body. Those non-Japanese who know about "real" (not stereotyped) Japanese people would realize that, the peace-loving people, at least in general, are also "nature-loving" and "creature-loving." Despite of their enthusiasm for pop culture and all other kinds of artificial stuffs, they love nature, and many, if not all, kinds of living creatures. Not only human beings, but their love extends to mammals, birds, fish and reptiles, insects, plants, or even to bacteria or slime molds. Look at how Hayao Miyazaki depicted huge insects or slime molds in his famous "Nausicaä of the Valley of the Wind" (Fans of Miyazaki might know that Nausicaä was inspired by the story of "Mushi Mezuru Himegimi (Bug-loving Princess) in the "Tsutsumi Chunagon Monogatari" in the 11th century.). Watch "Moyashimon: Tales of Agriculture" and see how bacteria are illustrated as lovely friends of us. For the people, loving other kinds of living things do not necessarily contradict with eating them. We love plants and flowers and eat them. We love fish and birds and eat them. The number of Japanese people who eat whales now are relatively small, but the logic is basically the same. We love whales and eat them. Although I am not so familiar about this field, this way of thinking is said to be related to Buddhism. In the endless chain of lives of reincarnation, born as a non-human creatures means the soul has some kind of bad karma. People thought that by being eaten by human beings, the souls of these creatures were "raised" to the level of mankind. So it is also natural for the past Japanese to build graves of whales. In Japan, there are about 100 whale graves. In regions where whale fishing was done, they even kept records of dead whales at temples, just as they did for dead people, to pray for the souls of whales. And this way of thinking is still alive among Japanese now. Remember the article above said that local officials and fishermen decided to "monitor it around the clock." It was not just watching it. It was a kind of ritual to send the dying soul to the "next world." The local government is considering burying the dead animal near the beach. And they did. The dead whale was buried in the woods near the beach. They did not eat the poor whale; it is just the same as what a fisherman hundreds of years ago who mistakenly hunted a child whale built a whale grave in suburban Kyoto, instead of eating it. 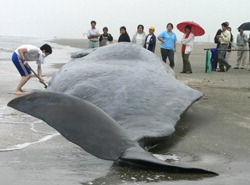 Likewise, on the day the whale died in Chiba, many Japanese living in other places in Japan mourned for the poor mammal. Those mourning Japanese should include a substantial number of people who had experience to eat whale meat (Several decades ago, whale meat was one of major materials of school meal.). In this sense, the prayer the local officials and fishermen had for the dead whale was basically the same as what the fishermen hundreds of years ago had for the whales they killed for food, and materials for crafts or fertilizers. We love whales. Even if some (not many nowadays) of us, sometimes, eat whale meat, we mourn for the poor whale dead on the beach because we love whales. In Buddhism (at least in Japan), they told that every life is valuable. Based on this way of thinking, the artificially generated or grown lives are nothing less valuable than naturally born or grown lives, as long as they "live." It was one of the main themes of the best-selling Japanese movie in the English-speaking world: "Pokémon: The First Movie" (1999). Did English-speaking audience notice that the theme could apply to the outside of the fantasy world? Killing farm-grown cows is, in this sense, nothing less sinful than killing natural animals like whales. We all are sinful. That is why we pray, maybe to the God, or to Buddha, or some other holy ones. Of course I know that there are a number of people in the world who criticize Japan's whaling. It is OK to discuss the issue from the viewpoints of biodiversity or environmental balance as long as they are scientific arguments. If some kinds of whales are on the brink of extinction, we should stop whaling of them. But if the criticism comes from cultural difference or preference, I would argue that there are other cultures in other places. How whales are intelligent maybe an argument, and every creature is valuable is another argument. Other than the whale graves, in Japan, there are many graveyards or memorial towers for killed and eaten livestock animals, exterminated harmful insects and termites, harvested plants, cut flowers, Bifidobacteria used for yogurt, Bacillus subtilis used for biological experiments, and so forth. Please tell me if any other peoples have such a custom. This is a culture, developed at least partially by history and religion; and more importantly, the custom is still alive. It is just like, in some places in the world, eating turkey in December or not eating octopus. Every society is composed of many number of people. There are so various views and ways of thinking. Not all Japanese eat whale meat, not all Japanese support Japan's whaling. It is the same as that there are so many vegetarians in the meat-eating Western countries (Oh, by the way, do not forget that Japan and other cultures in the Eastern Hemisphere have far longer tradition of vegetarian foods.). So it is neither right nor adequate to make rough arguments like"Japanese are all barbaric because they eat whales." Japanese people are diverse, just as in the other countries. Accusation should focus on specific behavior, not on people in general. In addition, despite that I think Japanese culture tend to treat all kinds of lives as valuable at least in cultural or religious contexts, I do not justify to harm people to "protect" animals. It is not what civilized people do, nor what the law asks us to do. Some anti-whaling "environmental activists" are nothing but terrorists. Supporting the terrorists who harm other people to protect some animals is the same as supporting the terrorists who harm other people to protect some religion or countries.